Banner Advert at bottom of WesNuus Newsletter – sent weekly. 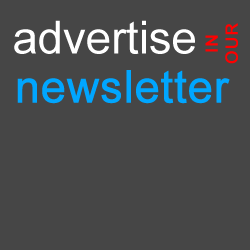 PLEASE NOTE THAT WE DO NOT HAVE SPACE FOR MORE THAN 2 BANNER ADVERTS IN ANY EDITION OF THE NEWSLETTER. If your advert is time-critical for a sale or special event / promotion, please get your booking to us at least 3 WEEKS in advance. We must receive your banner and information no later than 5.00 p.m. on Tuesdays – if there is space for that week. Please proofread / spellcheck all your own banner’s text. We cannot do ANY corrections on your behalf. Provide the details of the URL link to your own website or to a Social Media page or your main target page for your promotion. Our designers can assist you with the design of your banner if required. Please ask us for a price. Make sure that you are logged into the website with your membership username and password – otherwise, you will not get your 20% Member’s discount! Attach your banner file to the email. Speciy the URL link that must be connected to the banner i.e. when someone clicks on the banner, where must we redirect them? This should be a website page or social media page or a special promotions landing page. We will insert your banner into the next available edition of the Newsletter. The WesNuus is usually sent out on Wednesday morning, unless the committee holds back the publication to incorporate breaking news. Please carefully check the banner and immediately report any problems or errors. If we do not hear from you within 2 working days after publishing, we will presume that you have accepted the banner as being correct in all respects.